England’s Test woes have generally been due to a lot of their batting. Since the 2017-18 Ashes, England has struggled heads on with putting in runs on the table barring a few occasions. At home especially this has been daunting and the ongoing series against India have put weight on the same. 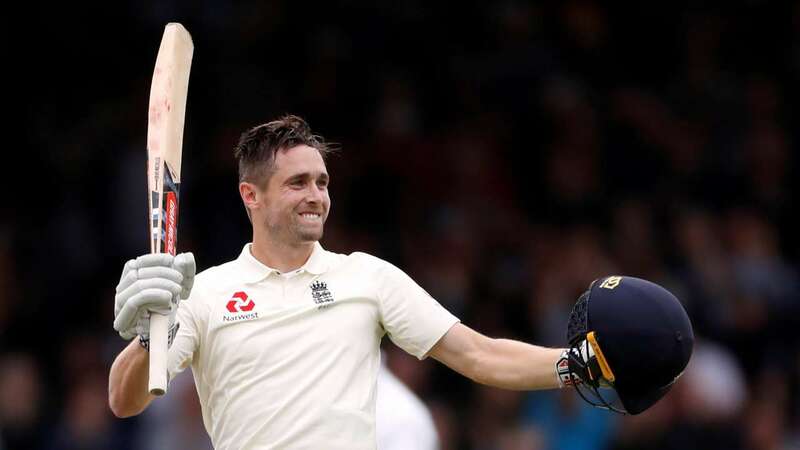 England won the first two Tests at Edgbaston and Lord’s respectively on basis of some stupendous bowling well complemented by an all-round show from Ben Stokes, Sam Curran and Chris Woakes. The bowlers have come together and have put in a show to cherish. But where does that leave the England batting? The loss in the third Test at Nottingham highlighted the chinks in their armour. Barring Jos Buttler and Ben Stokes, nobody had a real shout. England’s openers have been a real mess. Their middle order is a lot dependent on Joe Root and when he misfires the others too fall flat. Dawid Malan struggled largely to make way for debutant Ollie Pope, but the youngster too hasn’t taken his chances yet. Moreover, with him batting at a different position than his regular county teams where he bats in the lower middle order, he shall be given time to adjust. With an in-form Jonny Bairstow battling a broken finger, the issues escalate further. That leaves England banking heavily on all-rounders Ben Stokes and Chris Woakes and the aggressive batsman-wicketkeeper Jos Buttler. Ironically at Nottingham, the runs came from Buttler’s bat and previously at Lord’s it was Woakes who rescued them with a ton. With the Ashes up next year at home, England would want to be ready by then in order to put up a stern fight with their top four especially getting in runs aplenty. Going deeper into the India- Engand Test Series, England need to resurrect their batting and they have little time to sort the issues. They need to take a leaf out from Buttler’s show at Nottingham and draw some well-needed inspiration. Also, the gritty innings of Ben Stokes would help as well. However, it was contrasting to watch as Buttler registered his maiden Test century at a rpid pace while Ben Stokes took his time and inched to his slowest half-century. The only positive factor to come out from the third Test for the hosts were on Day 4 when Buttler and Stokes showed the rest of the team how to play. Prior to that, they were miserable in the first innings and lost all 10 wickets in the session between lunch and tea to be bowled out for 161. This was the latest addition of collapses in their bag that have blighted their Test cricket in recent years. It’s been highlighted over and over again that one has to be able to adapt as per the circumstances of the game if one wants to be successful in Test cricket. To an extent, Buttler and Stokes did that but there was almost nothing from other batters. The Lancashire man, Jos Buttler is an extraordinary limited-overs cricketer. As far as limited overs cricket is concerned, he has been exceptional. However, to bring his game to the same level in test matches adds another dimension to this English Test Side, expecially without Moeen Ali. Post his entry to the side against Pakistan, Buttler was the big question. Could the white-ball specialist with aggressive intent and clean strikes, tailor the way he plays to the longest form of the game? England chief selector Ed Smith made a brave decision and it paid off. Buttler has totally repaid the trust vested in him and handing him the vice-captaincy has been a smart move. He smashed two half-centuries in the series against Pakistan and now he has his first Test ton against India, the number one side. He deserves a pat on his back alongside Smith and the management. The immensely talented cricketer has shown that he can succeed in red-ball cricket, and play according to his own tunes. He has been playing a lot of coloured clothed cricket, but even in whites, he has the charisma. There’s no denying that. 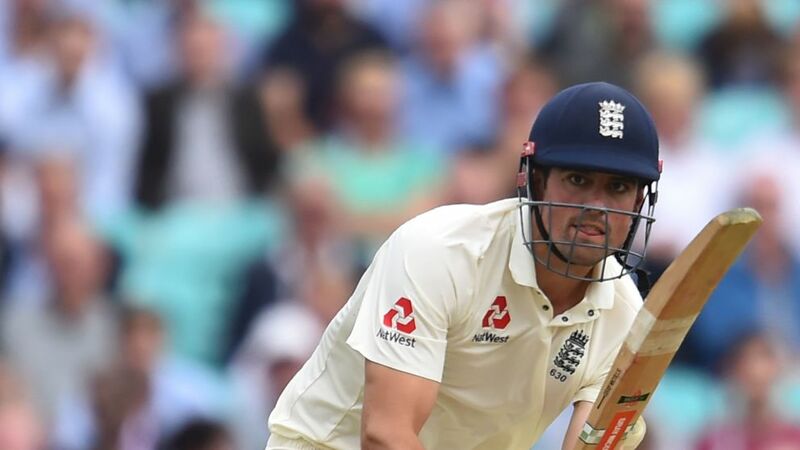 After being shut down for 161, England was struggling at 62-4 in their 2nd innings and was in danger of falling in a heap for the second time in the match. But, Buttler came in and knuckled down to play a perfect Test inning, an innings that he shall remember for rest of his life. An immaculate timer of the cricket ball, Buttler was brilliant as he struck 21 fours to score 102 in his 176 ball stay at the crease. It was a controlled, sensible inning that made him stand out. With the destructive hitting ability that Stokes is known for, Stokes was playing quite uncharacteristic to support Buttler up his sleeve. 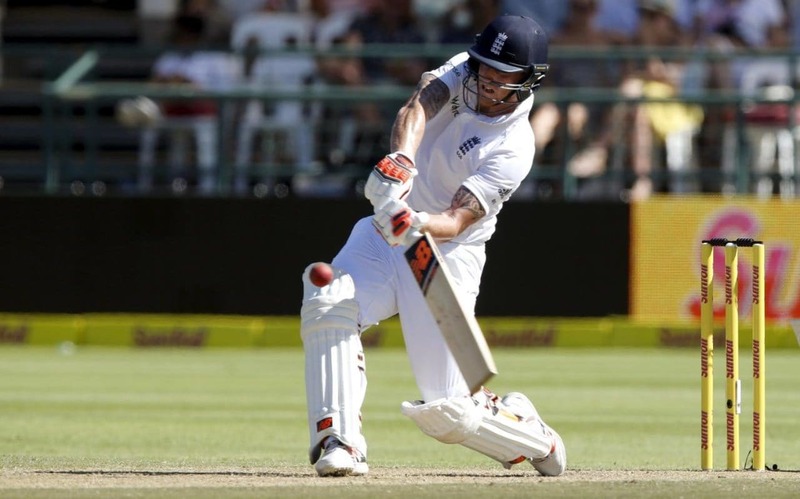 Stokes accumulated 62 crucial runs for his team to save them from an embarrassment. A different ball game altogether by the all-rounder, who once smashed Mitchell Johnson & Co. continuously to get to his maiden Test ton. The rest of the side have either been too watchful and like Indian batsmen have nicked the moving ball on numerous occasions. England needs its top four to show the grit like Stokes and the purposeful nature of Buttler with positive intent. The chart illustrates what needs to be done. England batsmen need to play more deliveries and spend time. Here are the scores and the most deliveries their batsmen have faced against India. We have seen time and time again in recent times that England has collapsed quite regularly. Are they addressing the issue? Because the change hasn’t occurred. Alastair Cook has been backed, but he has kept on disappointing. Keaton Jennings do not look like a Test product with some appetite for runs. Root has forgotten how to get to triple figures. And the number 4 is a constant issue. This has led to the collapse of this England side rapidly. The question that arrives is that if players like Buttler and Stokes can do what they did at Nottingham, why can’t those regular collapses be prevented? Even a Bairstow or a Woakes have played smart knocks. Why be over-dependent? England needs to dish out these innings of wonders on more occasions and also get players from the top 4 to drag alongside them. The key to a successful unit in batting is adaptability. One might call this old-fashioned, but even if one attacks, then their base often is built on a solid defensive technique. England needs to defend smartly at home or else more losses like these could haunt them further.